Home » Profiles » What is Dreampunk? Well, this is very exciting. Our very first post! We here at Dreampunk.me are absolutely ecstatic to welcome you all to the launch of our site, which is going to be a compendium of news, interviews, profile pieces, features, fiction, trivia, film and TV reviews, book reviews, humor, and more, all celebrating different aspects of steampunk/retrofuturism, cyberpunk, and all of those punk subgenres–Teslapunk, clockpunk, dieselpunk, decopunk, nanopunk, and so on and so forth–combined under the blanket term of dreampunk. And though other people have used the term for jewelry, webcomics, and other things, often as a means to describe a mashup between steampunk and fantasy, we have a related but slightly different focus. In some respects, we use the word “dreampunk” as a way of pointing out how all of these various “punk”s revolve around dreams. For example, steampunk actually written in the Victorian era, such as the works of Jules Verne, were about the past’s dreams of what the future might be–a future that never came to pass. Steampunk written today that is set in the Victorian era is a present dream of a past that never was but could have been. Today’s cyberpunk is a present dream of what our future might be. And you can see how all of the different punk subgenres could apply. They all have at least some aspect of either projecting a surreal vision upon history of our past or speculating on a surreal vision for a potential version of our future. That does make dreampunk a very broad concept, however, and while we do certainly plan on indulging in all of our favorite punks on Dreampunk.me, we also have a more specific definition to dreampunk, which is that it is a literary subgenre descended from steampunk and cyberpunk that differs from them in its inclusion of elements of dream logic. At its best, dreampunk is surreal, edgy, beautiful, and terrible all at once. Hidden meanings, symbolism, and the prevalence of dream or fairy tale logic are common. Various examples include Twin Peaks, Carnivale, Gormenghast, Velvet Goldmine, Mulholland Drive, The Adventures of Baron Munchausen, Brazil, Company of Wolves, and of course, Alice in Wonderland. 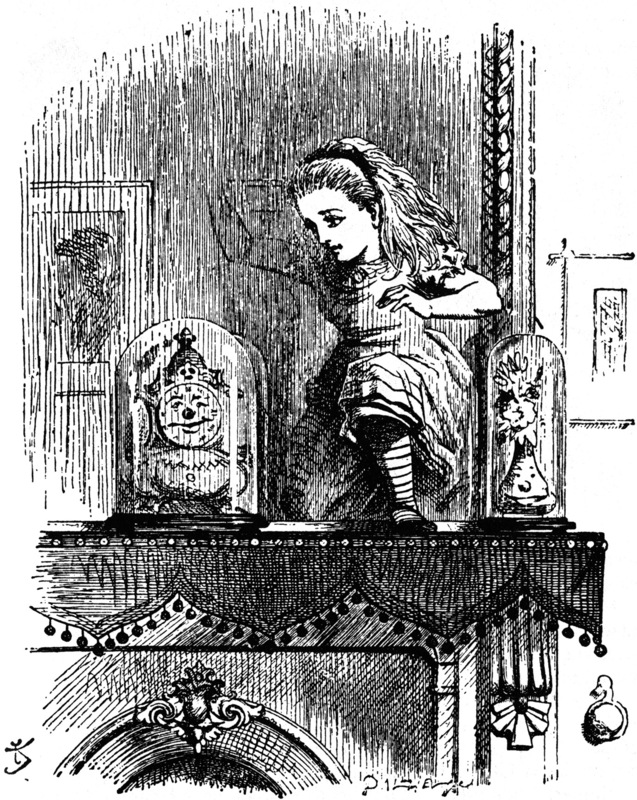 Alice in Wonderland was really the starting-off point for us. 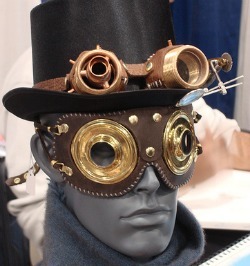 Many people argue that it is a work of steampunk. There is an excellent io9 article on the subject. But although it certainly contains elements of the genre, in its bizarre/satirical fantasy exploration of Victorian values, in its style, and, to quote that article, in its “Victorian fascination with the inner workings of the human mind,” the term “steampunk” doesn’t quite seem to fit, for reasons including the fact that it is entirely set inside the mind of a little girl and doesn’t concern itself with technology. Replace the first two letters, however, to form the word, “dreampunk,” and suddenly it all crystallized. There’s something about the word that we connected to on a primal level, and each person we’ve introduced it to since then has seemed to say, “Ah, yes!” without even having to have it explained to them. At the time, we hadn’t even realized that others have used it before, under slightly different contexts. Therefore, this site is going to be a crossroads between our specific definition of dreampunk, the broader one (steampunk and cyberpunk as dream), and those that other people have used (steampunk/fantasy mashup). We decided upon the url “Dreampunk.me” because of the phrase it makes–“dreampunk me!” In other words, we want to make it a place where people can indulge in and celebrate whichever of the punk subgenres they most love. Various columns on the site will explore the Victorian era, the Roaring Twenties/art deco/Great Gatsby era, the future as it’s depicted in different science-fiction stories, some fantasy in general–the more surreal, the better–film, TV, and book reviews, why, we even plan on a weekly column on pirates. Basically, all of the things that have infected the dreams of science-fiction and fantasy lovers for generations might find their ways to the shores of these posts at some point or other. We have a lot of exciting things planned, from community events such as a Book Club and a joint television series re-watch to interviews with some of the most luminous voices in the steampunk, cyberpunk, etc. communities, fun bits of ephemera from all of these various punks, original serialized fiction, a web store, and more, so we hope that you’ll decide to take the journey along with us. Come back multiple times a day! There will be frequent updates. And please follow @DreampunkMe on Twitter! We look forward to spinning many dreams with you. As a steampunk musician with Venus Lens Cap, I always felt our music more Dreampunk than Steampunk. I would love to explore the Idea if joining in this genre. All I need to know, is where would I post our songs to put them in front of the Dreampunk audience. some nice practices and we are looking to trade methods with others, why not shoot me an email if interested. This is a very nice and informative post Thanks! Great post and informational Thanks! This is a nice post thanks for the information!